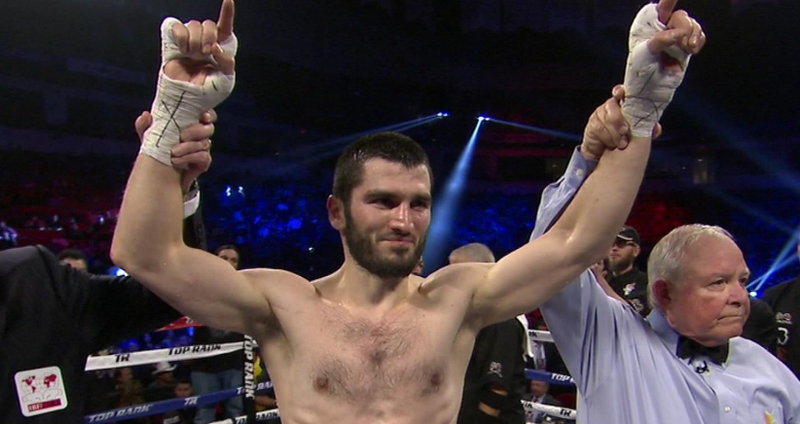 Unbeaten light heavyweight Artur Beterbiev scored a 12th round KO over Enrico Koelling to claim the vacant IBF world title formerly held by Andre Ward. Beterbiev slowly broke down Koelling and dropped him twice in round 12 to end the bout, time was 2:33. A fight that was originally set as a world title eliminator then changed after Andre Ward announced his retirement. Beterbiev a dangerous puncher started strong push Koelling thruout the rounds. Koelling was being defensive not risking much and staying his course. Going into the 2nd round Koelling was on the attack looking good. However lack of power prevent him from landing anything that could do damage. This allowed Beterbiev to walk thru the punches. The tone was set for most of the next couple of rounds. Koelling remained to be competitive but Beterbiev controlling the fight. thruout the fight there wasn't much action from Koelling to discourage Beterbiev from coming forward and pushing the pace. Koelling was often in a defensive stance, which forced Beterbiev to punch thru his gloves. By eleventh and twelfth rounds, Beterbiev was doing a lot of damage, landing heavy shots on Koelling. Koelling set on his bicycle took a knee in the final minute of the twelfth round with nothing left. Then he went down for a second time in the round when the Ref stepped in and stopped the fight.